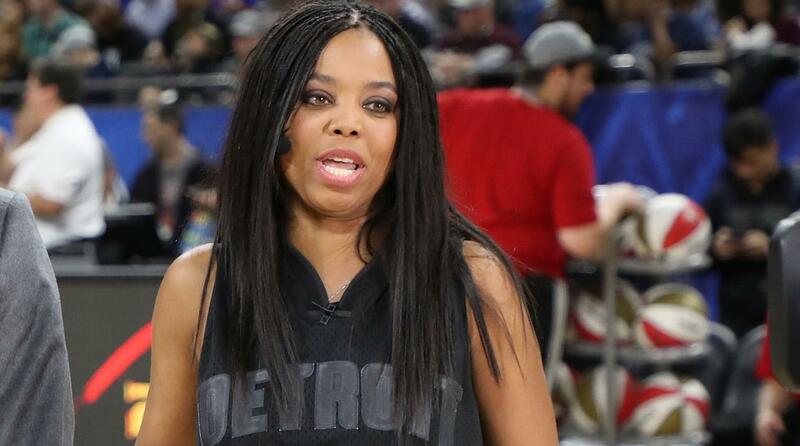 Former ESPN host Jemele Hill has said some vile things about Donald Trump. She recklessly called him a white supremacist without any support for her claim. But Hill’s latest statement about Trump is truly disturbing. Preeminent sports network ESPN launched a billion-dollar industry in the early ‘80s, but in recent years, the network has taken hits to its brand. ESPN foolishly followed a trend of infusing liberal politics into its programming. That, coupled with the rise in cord-cutting, caused ESPN to hemorrhage millions of subscribers. Many viewers were frustrated that conservative voices such as Mike Ditka and Curt Schilling were fired for benign comments while leftists like Jemele Hill and Bomani Jones were exalted. Hill was named co-host of ESPN’s flagship program SportsCenter. Hill even remained on the air and suffered no repercussions after calling the President of the United States a white supremacist. Hill only got in trouble when she encouraged viewers to boycott Dallas Cowboys sponsors in a failed attempt to damage Cowboys’ owner Jerry Jones. It didn’t occur to Hill that her mega-conglomerate employer shared some of the same sponsors. Hill was suspended, and eventually parted ways with ESPN. Unsurprisingly, SportsCenter’s ratings spiked after Hill and Smith were replaced. Hill landed at The Atlantic, a perfect place for her to spew her ill-informed leftist rhetoric. For example, during the Brett Kavanaugh smear campaign, Hill joined the pitchfork mob. Hill hosted a discussion among young black men and was frustrated to learn that the majority of them empathized with Kavanaugh. Her bias blinded her to the bedrock principle of due process. And recently Hill was triggered by Trump’s performance at the State of the Union. Polls show 76% of Americans who watched Trump’s address viewed it favorably, including 82% of the much-needed independents. But the Democrats and their media complex put the usual spin on the speech. Rising socialist congresswoman Alexandria Ocasio-Cortez and other Democrats had a bad showing at the State of the Union, refusing to stand and applaud for ending human trafficking and other issues that should easily be bipartisan. The tweet is a reference to the infamous moment when civil rights leader Malcolm X was assassinated by the Nation of Islam. The phrase was used as a crowd distraction seconds before an assassin shot Malcolm X to death. Apparently the secret service was contacted about the tweet, which Hill has since deleted. She also issued a mealy-mouthed apology. Hill’s tweet is just the latest example of the left’s fascination with assassinating Trump. Rapper Snoop Dogg fired a gun at the head of a Trump caricature in a music video. Madonna said she’d dreamed of blowing up the White House. Johnny Depp quipped that maybe it’s time for another actor to assassinate a president. And comedienne Kathy Griffin did a photo shoot where she held a bloody, severed Trump head in her hand. Griffin, like Hill, issued an insincere apology, and has since been accepted back into the Hollywood clubhouse. The left has no problem “joking” about assassinating Trump, but they would’ve lost their minds if any celebrities had done the same about Barack Obama.